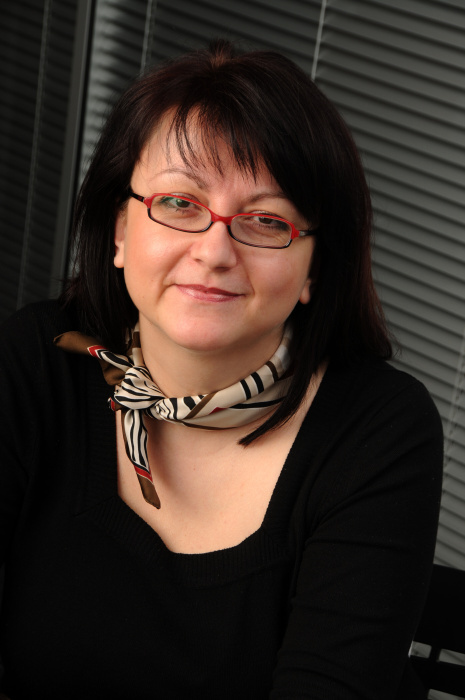 Pavla Pasekova is an experienced PR executive and event manager offering translation and interpretation services and based in Bedford, UK. Working in translation and interpretation with English, German and Czech for over 20 years, Pavla is a great example of how languages are a great qualification for many communication-based professions. Hello Pavla, many thanks for agreeing to speak with German Translation Tips & Resources. First off, how did you start out in the translation business? My step-father was an anglophile, a passionate fan of The Beatles and, as a keen reader he owned an extensive library containing thousands of books (needless to say that a large number of them were translations). He was my inspiration and motivated me to learn foreign languages from a young age. I have been studying English and Russian since elementary school, and at grammar school, I first started with German. While studying at the Masaryk University, majoring in English and Italian, and still pursuing German studies, I provided translation and interpretation services at the international trade fairs held in my home town Brno. That was quite a unique experience and a great extension of the university curriculum. This helped me master considerable quantities of vocabulary in areas as diverse as welding, canine anatomy, packaging, washing machines, industrial high pressure pumps, food & beverages, logistics or storage equipment… the event calendar was pretty busy, so every month, I would become an expert in something else! But most importantly, I learned about how various firms do international trade, product and business development, marketing etc. Quite often, my translation and interpretation work extended into receiving visitors to the exhibition, administration of the newly established contacts and setting up meetings. I was often asked to take meeting minutes, maintain databases of contacts, even to include my own impressions from the meetings. After the trade shows, my clients used to do follow-up visits to their recently established business partners, so I accompanied them as an interpreter again and travelled a lot all around Czech and Slovak Republics, Poland, Germany, Austria and Italy. I learnt that an interpreter is a mediator, not only of facts and information, but also represents the client. This awoke my interest in corporate communications and eventually ended up in me taking on various in-house communications roles where I could use my translation and interpretation skills. My employers were mostly German and Austrian companies operating internationally, so the ‘mediating’ role between cultures and languages has always been at the core of my work. What are your specialist areas of knowledge, and what made you specialise in these fields? If I were to name an area where I feel most ‘at home’, it would be banking and finance, simply because I worked for various financial institutions for more than ten years. They include the Austrian Erste Bank Sparkassen, Bausparkasse Schwäbisch Hall, eBanka (a Czech green field bank that pioneered internet banking), and the German company Allianz. My roles were mostly related to communications, marketing and PR, but I also became involved in innovation management and sustainability. How did you find your first clients and get established? The company who organized the trade fairs and exhibitions in Brno had a specialized department which hired translation and interpretation staff for individual shows, and we, the students of foreign languages, were the obvious choice I suppose. Apart from direct jobs such as this, it takes a lot of commitment, perseverance and resourcefulness for an independent translator and interpreter to find clients and, more importantly, to develop long-term working relationships. What are your other language-related activities, and how do they improve your translations? As an English and Italian teacher, I improved my presentation and communication skills. These were very beneficial for my later work in interpretation. I also learnt how to lead and motivate a group of people, and appreciated the importance of being well-prepared, of doing one’s homework before each lesson. When editing, I developed that ‘proof-reader’s eye’ – so much so that I often nowadays find myself not reading and enjoying a book, but looking for typos! As an in-house communicator I learnt a lot about diverse corporate cultures from my international peers – the same job in the same company in different countries brings all different challenges. I believe any experience one gains can be useful – you never know from what area your next client/job comes. And it does not apply only to work experience– several times my passion for travelling, cooking, local and national cuisines, art, design or gardening has helped me out in my translation and interpretation jobs! You’re also a literary translator, often the stated dream of many a translator – how did you achieve this? Years ago, I offered my services as a book reviewer to a publisher whose books I like. I would read books and write synopses and recommendations for their publishing in Czech. And one of my reviews was so enthusiastic that the publisher asked whether I’d be interested in translating the book I was recommending. I also used to take part in any translating competition I could find in order to gain some experience, and above all, to have my work reviewed by established translation professionals. I see you’re an assessor for PEN Translates, the grants scheme for translation run by the English branch of PEN. What does this involve? PEN Translates is a new grants scheme for translation launched by English PEN in 2012. It aims to promote outstanding literary works from all around the world and funds their translation into English. I noticed that English PEN were looking for assessors of the submissions and so I applied as a Czech native speaker. Unfortunately, no Czech literary work has been submitted so far! This is a shame, because there certainly are Czech authors whose outstanding work deserves to be available to international readership. So fingers crossed next year! What gets you up each morning ? I am lucky to be doing the job that I have always wanted to do, so no problems getting up! I love working with languages, as they are an open door to different cultures and one learns something new every single day. What was your biggest job / greatest coup / proudest translation moment? When I submit a translated literary text, after months of translating, researching and considering different solutions, there always comes a fantastic feeling of accomplishment. Of course, there is still a lot of work ahead of me before the book is actually published; the editing, proof-reading, but at that moment my back is in pain and my eyes are sore, so the momentary relief is really intense. I would say that a good translator-client relationship is one that is based on mutual respect and understanding of each other’s roles, capacities and expectations. An ideal client is one that provides the “bigger picture” – I believe this makes any translation and interpretation job better. The better the input, support and communication, the better the output! Do you ever refuse jobs? If I feel that I would not be able to give the job justice due to other on-going commitments, I think it’s only fair to admit this and even try to help the client to find another translator/interpreter. At present, I generally refuse any interpreting jobs, because of the very same reason. How do you market your translation services? Do you think translators need to be on Facebook, Twitter etc. these days in order to get noticed sufficiently? Or do you use translator platforms such as ProZ and TranslatorsCafé instead? I have a profile on LinkedIn which has proved very useful in many aspects; the discussion groups are a great knowledge-sharing platform and I have made contact with many inspiring people from all over the world there. What would be your key tips for anyone looking to start their own translation or interpretation business? In my experience, one needs to walk several different paths in order to find out what works best for them. How do you see the future of human translation? In our globalized world, the need to recognize, understand and respect diverse cultures is essential. And languages open the doors. I am sure that human translation will remain irreplaceable in many areas; I cannot imagine anything other than human input in translating literature, poetry or drama etc. Translators’ work still does not get the recognition it deserves; it’s not only the financial aspect, but the protection of rights, the legal framework and generally better understanding of our work. I enthusiastically support and admire the work that professional associations, guilds and similar bodies carry out in helping us to achieve these goals. What’s your No. 1 tip for anyone thinking of buying translation services? If you think it is expensive to hire a professional, just wait until you hire an amateur. Do you have a few tips for anyone starting out in translation? When working with languages, one never ceases to learn. Do not rely on your qualifications to bring you clients. One has to learn how to market their services. Develop network of contacts. Seek references. Any experience counts; try all available ways that you come across in order to get jobs and gain some experience, you will see later what works best for you. I can hardly imagine another career through which one would be able to learn lots about many different areas and meet many interesting people & professionals. Do you have a favourite translation joke? A theatre in Prague was rehearsing a Russian classic drama translated into Czech by a well-respected translator of the Russian classics who also was an actor himself. During the rehearsal, one of the protagonists came up to the director wanting to discuss certain part of his text, rich in idioms, as there seemed to be two possible ways of interpretation. The director was not sure either so they decided to invite their colleague the translator and ask him to provide the background for the interpretation of the scene. They had to wait a considerable time until he arrived, then longer while he studied the script, consulted the original text and contemplated… finally, he raised his head from the text and announced triumphantly: it can be interpreted both ways! How long does it take to a translator to exchange a light-bulb? It depends on the context! Many thanks, Pavla, for taking the time to speak with me. It’s been a pleasure talking to you. I’m sure visitors will benefit from your insights into the world of translation and interpretation. You can contact Pavla directly via LinkedIn.